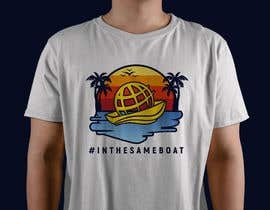 I am looking for t-shirt designs based on the #inthesameboat logo that is attached to this contest. 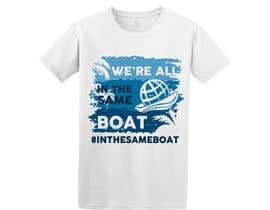 FYI: the goal of the #inthesameboat project is promoting the idea that all humans are fundamentally in the same boat, i.e., that we are all more alike than different, that we all share the same ultimate challenges and that humanity needs to get better at working together to solve today's existential problems, like climate change, migration and political divisions. 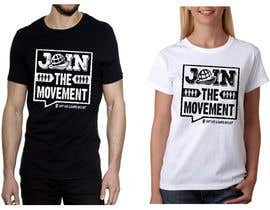 Please take a look at [login to view URL] for current t-shirt designs that are for sale there. 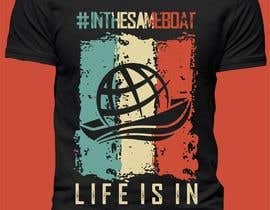 They use the existing #inthesameboat logo in a plain and unmodified way. 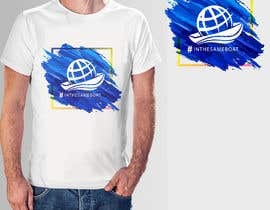 The goal of this contest is to create a design that still shows the same logo, but in a different, visually more attractive and dazzling and cool way. Please experiment with different approaches. For example, you can re-create the logo using different styles, for instance ink brush, or oil, or water colors. Feel free to play with changing colors and increasing their number. You can also experiment with keeping the logo as is and combining it with other visual elements and backgrounds. 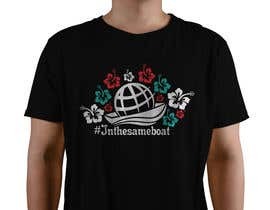 Or you can do both, modify the logo and combine with other elements. 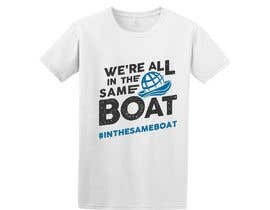 You can also add text or visuals that would assist in presenting a spin on the #inthesameboat idea. 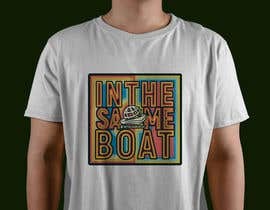 Be as creative as you want to be. Please also include designs in which the logo is not the main element, but smaller in size. The most important two goals are 1) for the #inthesameboat logo to remain recognizable in the modified designs (since the #inthesameboat project is based on displaying renditions of the logo on clothing and other items to promote the #inthesameboat ethos), and 2) for the design to be visually very attractive. For your final deliverable, please provide your design in vector format, as an Adobe Illustrator file, on a canvas of 12 x 16 inches (we are using [login to view URL] for production). I am looking forward to seeing what you will create. Thank you in advance for your efforts. Hi! Thanks a lot for your feedback. I have send it to you a private message. 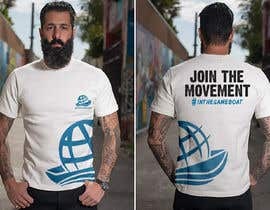 Please take a look. Hi! Kindly check #122 Thanks! 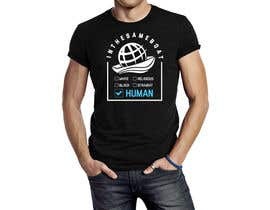 Please also include designs in which the logo is not the main element, but smaller. 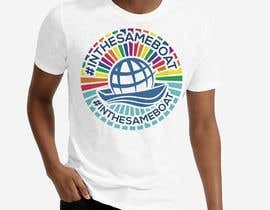 Tip: Please experiment with adding to the icon/hashtag elements, whether text or visual, to re-enforce the #inthesameboat concept. 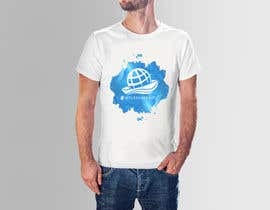 Can I know, which method will you use for t-shirt printing ? Maximum, how many colors I can use for my work?